- BA in Visual Arts – UNESP. - Background department coordinator for animated series “Meu Amigãozão” and “Zica e os Camaleões”. - Short film director "Crássicos da Periferia", elected best Brazilian short film, by popular jury, in Anima Mundi 2001. - Post Graduate in Computer Graphics 3D – SENAC. - Graduate in industrial design – UNEB. - Designer background for animated series “Meu Amigãozão” and “Sítio do Pica-pau Amarelo". - Director of the animated serie Rockstar. An unpublished painting, the meeting of two geniuses in a single painting arrives to the museum at a rainy night. The museum caretaker observes the work of art being brought to the lounge where it will be exhibited to the public. The wet box drips on the paint, the paint softens and releases those twin painters take a walk around the museum intervening on those works of art in a Cubist and Surrealist way. 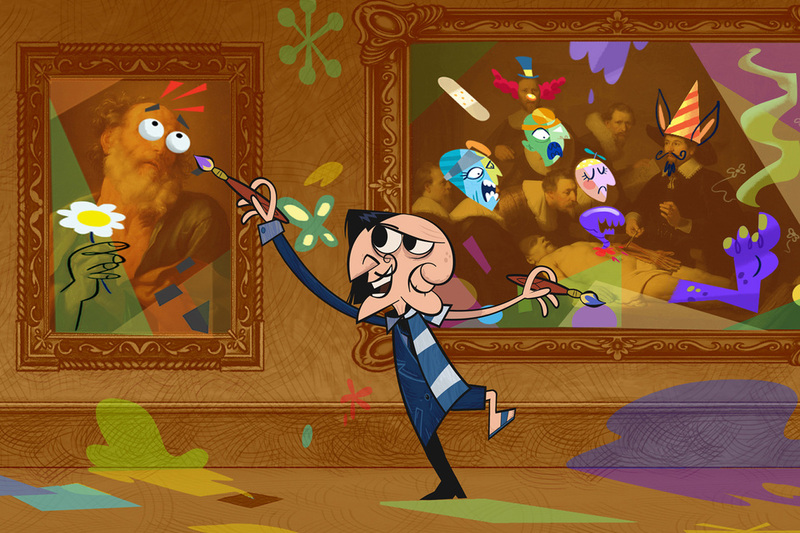 The caretaker "chases" our painters in a classic cartoon chasing, using the Renaissance mechanisms to restore the order. Alex is a recent Northeastern University graduate who studied Digital Arts with a focus in 3D art. He grew up in Sharon, Massachusetts, and was inspired to study 3D art through playing video games and watching movies. He first found his interest for digital art in high school through taking a 2D and 3D animation course using Maya and Flash. Since then he has taken a beginners course at Boston University Center for Digital Arts, a Unreal character design course taught at Rhode Island School of Design, and has taken all the animation courses Northeastern has to offer. Through his experiences he has become a 3D generalist, with a specialization in lighting and compositing. Alex has also had the opportunity to be a Teaching Assistant for the Northeastern courses Animation Basics, Animation Studio 1, and Animation Studio 2. Anthony is a recent Northeastern University graduate who studied Digital Arts with a focus in Animation and a minor in Graphic Design. He was born in Brockton, Massachusetts but moved to Lowell, Massachusetts following his freshman year in high school. Anthony became interested in arts throughout his time watching cartoons and drawing comics in grade school. After enrolling in several art classes during his time in high school, he was encouraged to pursue his passion at a University. He was originally determined to complete a Graphic Design degree, but instead found a new interest in Animation during his freshman orientation visit. Along with interest in Animation, Anthony also enjoys videography, video editing, playing sports, and video games during his free time. Kyle is a recent Northeastern University graduate who studied both Computer Science and Digital Art. 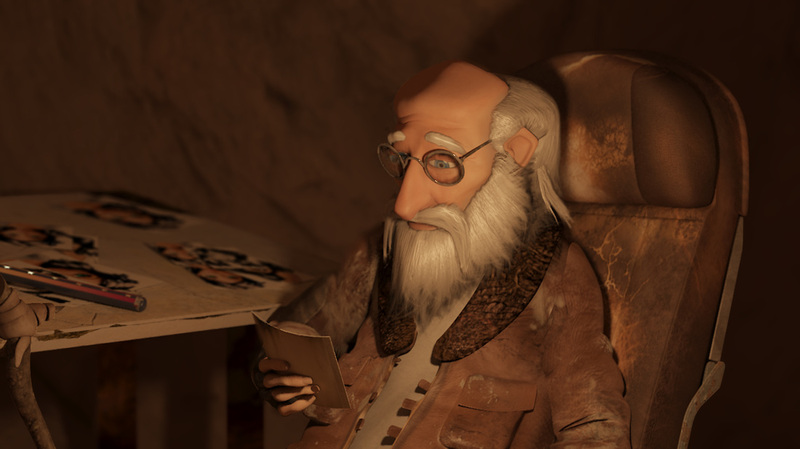 The Digital Art path led him to taking several animation courses while at Northeastern, completing multiple short animated films throughout his time at the school. Kyle was raised in Simsbury, Connecticut, but now calls Boston his home. He is currently a full-time Web Applications Developer for Harvard University in Cambridge, Massachusetts. A lonely ghost who just can't seem to find any way to entertain himself finally gets his chance. Short film by Alex Falcon, Kyle Maguire and Anthony Gentles. Simulation by Mimi Lin, Sound Design by Devon FisherThesis project for animation program at Northeastern University. 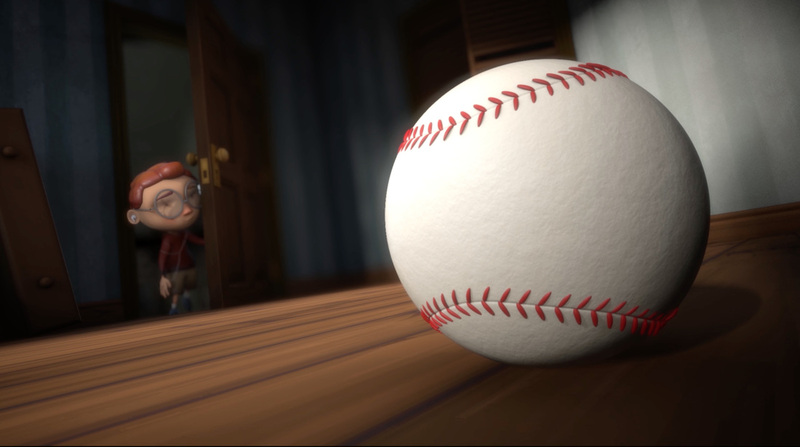 Made using Maya, rendered in Mental Ray, composited in Nuke and after effects. The nostalgia inducing essence of a swim meet. I am from the Bay Area and currently am a third year student at the California Institute of the Arts studying Character Animation. 2000-2003 Diploma in Film Direction at the Centro Sperimentale di Cinematografia in Rome, Italy. look for his lost magic pencil, with which he intends to draw his wife into life. Where would you go if you have the possibility of teleport yourself? Would you become a Wanderer? Maria Torregrosa Domenech is an animator living and workig in Valencia, Spain. She was born in 1911. Her B.A. in Fine Arts was received from the Polytechnic University of Valencia and Solent Southampton University in 2014. Subsequent to that, and currently, she is working in the game industry, meanwhile developing her own personal film projects. 1) The Magical Eyeball (2009) - won several animation awards in 11 countries. 2) Switch Man (2015) - 62 awards & official selection in 2015. This is a short, fast pace, and black humor animate comedy. The story opens by Dr. 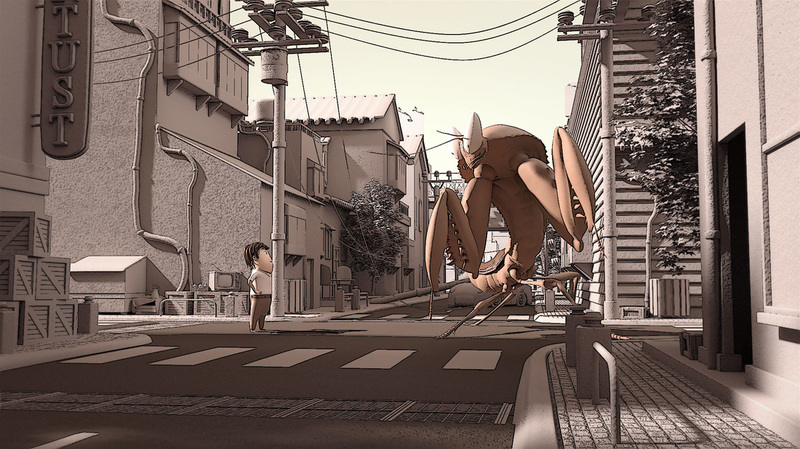 Evil Mantis invades K city and create mass destruction, one young man stood up to fight him. His secret power of ‘switch’ is the only key to stopping the evil power and save the city. He began with all the confidence in his power and faith of completing his mission. However, one by one, the mis-switch turns everything into chaos, putting him into the spot where he has no chance of winning at all. What will happen in the end? The story builds up by several quick faults switches to bring up the humor and funny contrast in between the hero fights and the city saving. The faults move somehow might save the world in the end.